Certified 10+ (MGS - Molan Gold Standard) manuka honey from New Zealand's North Island and produced by father and son team Watson & Son. A highly respected brand among connoisseurs of manuka honey. Watson & Son's 10+ Manuka Honey is certified under the Molan Gold Standard (MGS) scheme and has an MGO level of 300+. 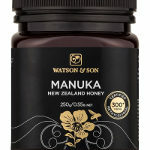 Watson & Son are a trusted family name in the world of manuka honey. 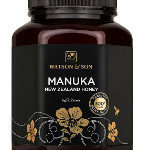 Watson & Son produce certified manuka honeys in the North Island of New Zealand - this 10+ is a singularly delicious manuka honey from a trusted family-run company.